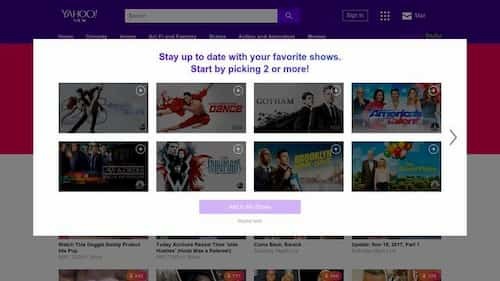 Sites to Watch Free TV Shows Online: These days, you do not need a TV or cable package to enjoy full episodes of your favorite TV shows whenever you want. Many apps and Many sites are providing us to watch free tv shows directly on our pc and smartphone without any cost. 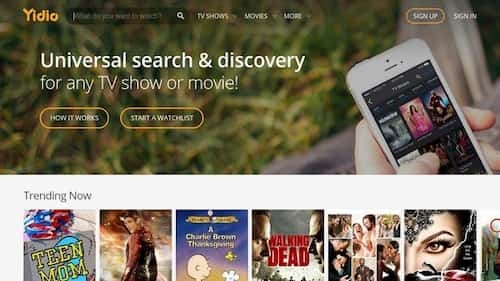 There are a lot of websites out there that allow you to watch free TV shows online that includes some of today’s most popular shows. Connecting your device to a TV for a night is what you should do to enjoy the picture on a large screen. 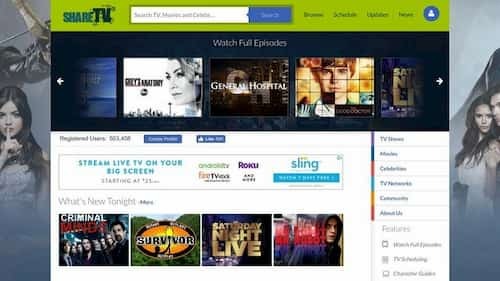 So in this article, We are going to provide you the best 10 free sites to watch tv shows and movies online for free. You can check these sites and watch movies online for free within a matter of minutes. Continue reading for more information. You just have to know where to look at these tv shows for free. The trick is to find the best sites and watch tv online free streaming, which is not always so easy to do. Some sites will cheat you to subscribe to dues or memberships, while others require you to complete a survey before you can see anything. Although this is true for many sites, Netflix now offers a fairly secure option for downloading TV shows and movies to watch offline. You can get all kinds of movie information from reputable online sources. If you are going to use an unofficial site to watch TV, it is best to do a little research to find out the opinions of other users. Stay away from any problematic site and check out the following high quality and trusted sites to enjoying your movies. With the Crackle app, you can watch full episodes plus movies and create personal watch lists so you can keep track of everything you see. Because it is a totally free service, with accessibility through multiple main platforms. There are some announcements in the programming. 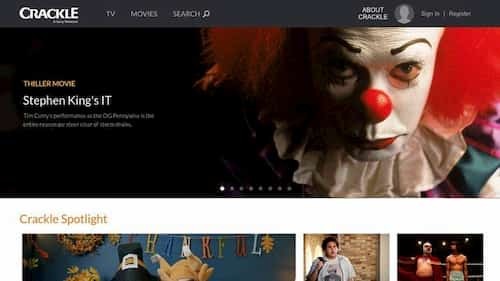 In spite of everything, Crackle is a great alternative that you can enjoy watching on your computer or with one of its applications on your mobile device. All you need to do is create a free account to start enjoying. You just have to click on the TV tab of the top menu or search for a program title, choose the episode you want and enjoy. You can also use filter options to browse programs based on genre, alphabetical order, recently added episodes, full episodes, clips, trailers, and what will be published soon. Tubi TV is another incredible alternative to the world of online television that operates legally through license agreements. And like Crackle, it also includes movies. TubiTV is totally free and you can click on a program and start watching without having to set up a free account. However, as soon as you sign up for an account and start watching. The platform will begin to track your viewing history so you can learn about your preferences and make better suggestions. 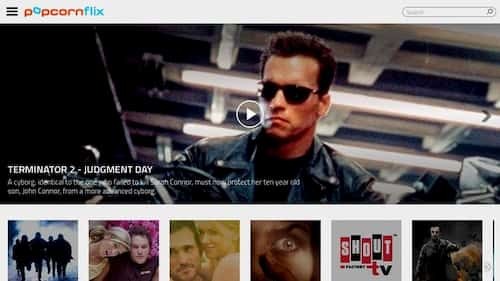 What makes TubiTV especially unique is that you can browse through interesting categories like something you do not have on Netflix. With more than 40,000+ programs and movies available and more being added all the time. 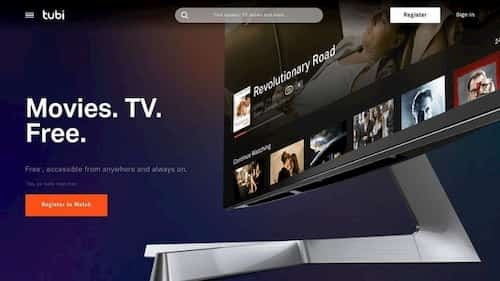 Tubi TV is growing rapidly to become a favorite of television for Internet users everywhere. Right after Hulu finalized its free streaming option and switched to an exclusive subscription model in August 2016. Yahoo partnered with Hulu and launched a new service called Yahoo View. Which included a large collection of content previously available for free on Hulu. Anyone within the USA can watch the last five episodes of popular programs that are broadcasted on ABC, NBC, and FOX until eight days after its broadcast. Yahoo View is a great one-stop store for all your favorite shows that you missed on TV. And for those who want to take their viewing mobile. Yahoo View now also has free mobile apps available for iOS and Android devices. While Popcornflix is best known for its wide variety of full-length films, documentaries, foreign films, and original web series. It is also a great place to watch unique TV shows that are hard to find anywhere else, including cable TV. If you’re a classic looking for something nostalgic about serious childhood. You’ll want to see the Popcornflix 90’s TV offer featuring classics like Inspector Gadget, Sonic the Hedgehog, The Big Comfy Couch and more. You can only search for movies by genre. But the site search feature allows you to search for specific samples by name if you are looking for something specific. Preroll ads will also play when you start watching. But you can start to see anything without having to sign up for a free account if you’re just looking to try it out quickly. Although OVGuide does not host all of its television programs to watch on its platform. 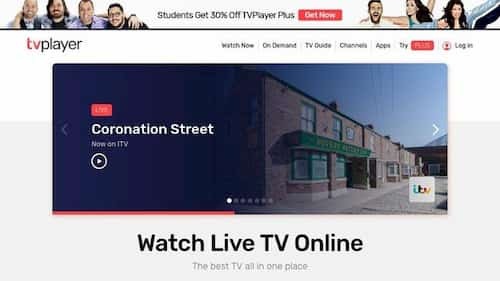 It is a great hub that will indicate the best address to watch a particular show, ideally free on official and completely legitimate third-party streaming platforms. You can think of it as a massive search engine or aggregator for the official television and movie transmission platforms. You will find that when you click on a program you want to see. The video viewer can have a “Watch video” tag on the video player. Which will open a new tab in your browser to the exact web page where you can watch that program specific on that third-party platform. The advantage of using something like OVGuide is that you can see some of the latest programs that have just aired. The applications are available for iOS, Android and the Roku streaming player. You will not be tied to the desktop web. The downside is that not everything you click on is 100 percent guaranteed to be free to look. ShareTV is another similar hub to a search engine for television shows as well as movies comparable to OVGuide. Described as a community-based website for fans of network television. The site claims to have all the programs it could possibly think of, with a countdown to the next new episode. Explore genres or check out Tonight’s News and Trend Programs. Simply click on a program and use the options in the Free, Buy, Subscription or TV Everywhere checkbox to find what you are looking for. Clicking on an episode will expand a summary and a list of sources where you can see it. Like OVGuide and ShareTV, Yidio is an aggregator of television sources that direct you to other third party hosts. Where you should be able to watch a particular episode. In addition to using the right sidebar to browse by genre. You can use the menu at the top to filter the available programs. So it is available in several premium streaming services, but if you are looking for something to watch for free. You should select the Free filter. When you click on a program, you will be shown a summary based on the IMDB information along with several thumbnails of the available episodes. Click on any thumbnail you want to bring to the specific episode list. The disadvantage of using Yidio is that their free listings are not the most accurate or up-to-date. You may find a program that only has short clips instead of full episodes available to watch for free despite its listing in the Free category. There are many ads for Amazon, Google Play and iTunes on the way. But if the episode is free, links to free sources (such as YouTube) will be available at the bottom to click on. 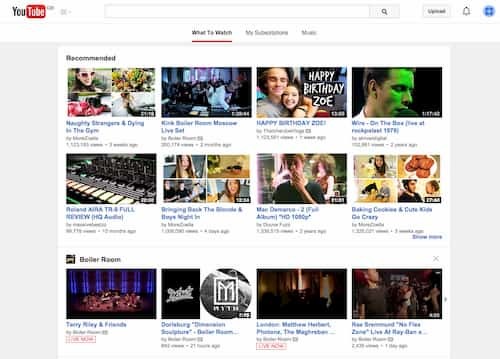 Many people do not realize that YouTube is really a great place to look for TV shows. Although you will not have exact access to the most current or popular programs (unless you pay), or guaranteed high-quality viewing experience. You may still be pleasantly surprised by what is available in the most popular video sharing network. Simply look for the title of the exhibition and see what comes out. For example, if you look at Boy Meets World – an old comedy of the ABC family of the 90s. There will be several episodes uploaded from virtually every station. On the other hand, if you are looking for Gray’s Anatomy – a more current and popular television drama. You will notice that the results will appear where you will have to pay a fee to legally transmit it on YouTube. Hopefully, you found at least one show that you would like to look at from the suggested sites above. But if you are still on the hunt for more options. Perhaps the popcorn time could work for you. First, you should know that it does not work exactly like the sites mentioned above. 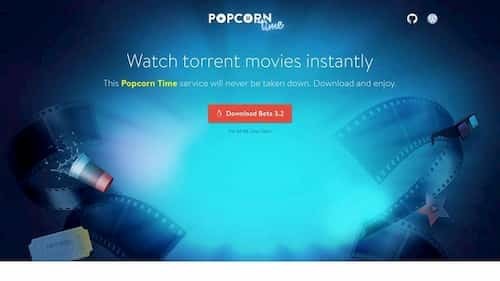 Popcorn Time is actually an open source application that is downloaded to your computer. Allowing you to freely broadcast TV shows and movie torrents. Yes, torrents. In other words, most of the content you’ll find in Popcorn Time is pirated. Tons of web users torrent content online all the time and they have been doing it for years. But it is up to you to know the consequences that you could face when using a service like Popcorn Time depending on the country where you are. Popcorn Time is known to be one of Netflix’s biggest competitors. It offers high quality, fast streaming and even presents the titles in a visual way similar to Netflix. Despite the fact that users are probably viewing stolen content, many swear by this service. Are you in the United Kingdom? If you are then you will want to know about TVPlayer. A free TV broadcast service that offers 95 free channels both on the desktop and on mobile devices. Including programs that are currently broadcast live. 30 premium channels are available for users who upgrade to a Plus account for a monthly fee. Free channels include popular channels such as BBC 1, Discovery, ITV, Dave, Five, History, Lifetime and many more. All you have to do to register is create an account with your email address. Then verify the creation of your account and start watching! Obviously, the great disadvantage of this is that it is restricted to users in the United Kingdom. If you are in another place, like in the USA. You can create an account and login but if you try to see something. TVPlayer will first check if you are in the UK and block access if you are not. Hence, You have seen the top best 10 Sites to watch tv shows on mobile and pc for free. You can check all these 10 best sites for watching tv right away. Feel free to ask your questions in the comment box. We hope you like the article and explored perfectly for the best sites to watch tv shows online. Share the article and like us on social networking sites. Stay tuned to Cracko for more guides to easy your life.